I think most people had one song they enjoyed as a small child that probably drove their parents completely bonkers. Not because they’re bad songs. But because of the sheer number of times they get played. Over and over and over and over and over again. Well for me, that song was the Purple People Eater by Sheb Wooley. 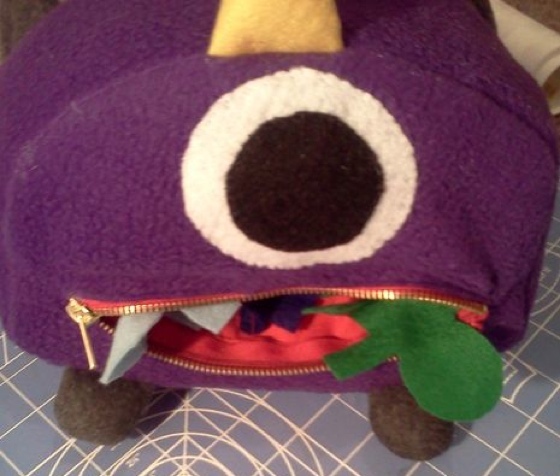 So when I saw this flying purple people eater plush, I just had to share. It’s super cute, which is kind of strange for a people eater, but there it is none the less. Plus it’s an instructable, so you can go ahead and give one of these guys a shot yourself! 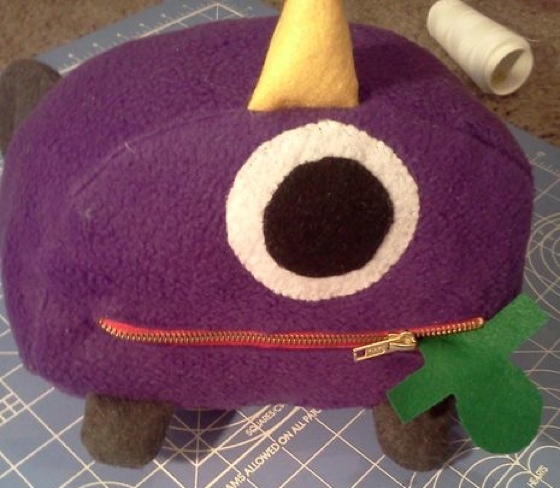 Ok lets start with the reason I wanted to make a one eyed,one horned flying purple people eater. Well, because i didn’t have one and just because I can. I wanted the one eyed,one horned flying purple people eater to actually eat people. Felt people that is.